Dr. Najari and Dr. Nguyen strongly encourage patients to replace lost teeth as soon as possible, not only for the sake of their self-confidence but for their ongoing health and quality of life as well. Without a full smile, oral function and stability can diminish greatly, and there’s a higher risk of additional tooth loss occurring as well over the years. At Murphy Family Dentistry, we’re proud to offer several high-quality replacement options. Our experienced dentists will work closely with patients to help them explore potential treatment paths and determine the strategy that fits their personal needs and goals best. Please contact us today in Murphy to schedule an initial consultation. Why Choose Murphy Family Dentistry for Missing Teeth Solutions? Dental bridges are named as such because they actually “bridge” the gaps left by consecutive missing teeth. The sturdy prosthetic is securely anchored with two traditional dental crowns or state-of-the-art dental implants that are placed on either side of the gap, depending on the patient’s budget and personal preferences. 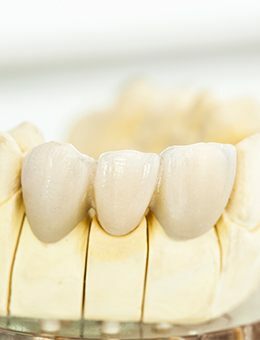 A new bridge will help restore biting strength and overall oral function while also preventing natural teeth from gradually shifting out of place. 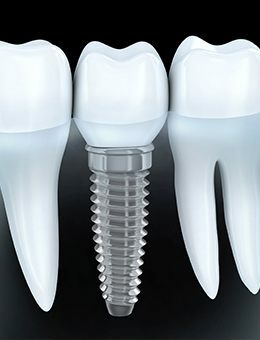 In today’s modern world, dental implants are the clear premier solution for tooth loss, whether the patient has a single gap or is missing an entire arch. Unlike more traditional services, they start by replenishing the tooth’s original root, which stimulates bone tissue, prevents deterioration, and creates an enduring foundation for the new, custom-made restoration. Implant-retained teeth can last for decades or even the rest of the patient’s natural life with the help of proper maintenance. 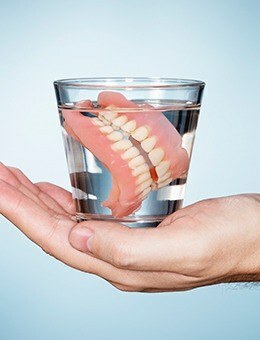 Using a custom-made partial or full denture, our team can help you replace multiple teeth or even a full row of teeth all at once. Today’s modern version of these age-old prosthetics are more comfortable, more reliable, and more lifelike than ever before! Better yet, we also offer implant-supported dentures, which offer a greater degree of permanence and stability by anchoring the new “teeth” to the jaw and gum tissue, preventing unexpected slipping and looseness.